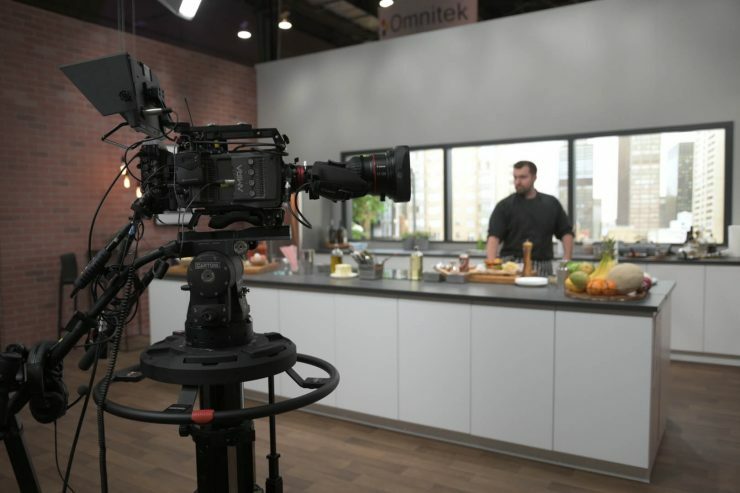 At NAB this year ARRI were demoing Amira broadcast integration in a studio setup where Amira cameras were being used on pedestals to film a simulated TV show. Somewhere behind that box lens there’s an ARRI Amira camera. The cameras were connected to the control room via fibre, and each was mounted with a large studio-style viewfinder monitor. These plugged directly into the same port as the regular ARRI viewfinder rather than into the SDI port. The viewfinder monitor on show was manufactured by a third party – in this case Swit. ARRI are also planning their own version with a larger panel and deeper integration with camera functions. ARRI were also showing the Amira with a Canon CN7 servo zoom lens – perhaps a setup that could be repurposed from existing kit. The viewfinder monitor is mounted to the rear. ARRI see this as an opportunity to offer their cameras’ dynamic range, colour science and skin tones to broadcasters for use in situations they might not have considered before. 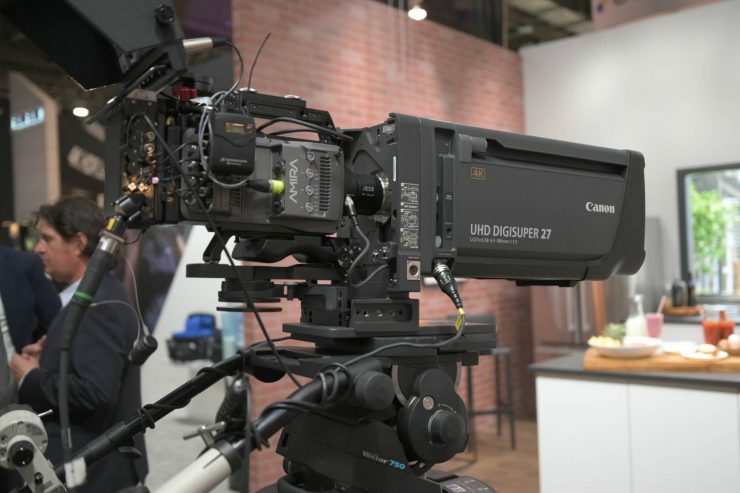 They’re already able to offer UHD HDR workflows to broadcasters and hope to build on recent deployments in live and studio environments.